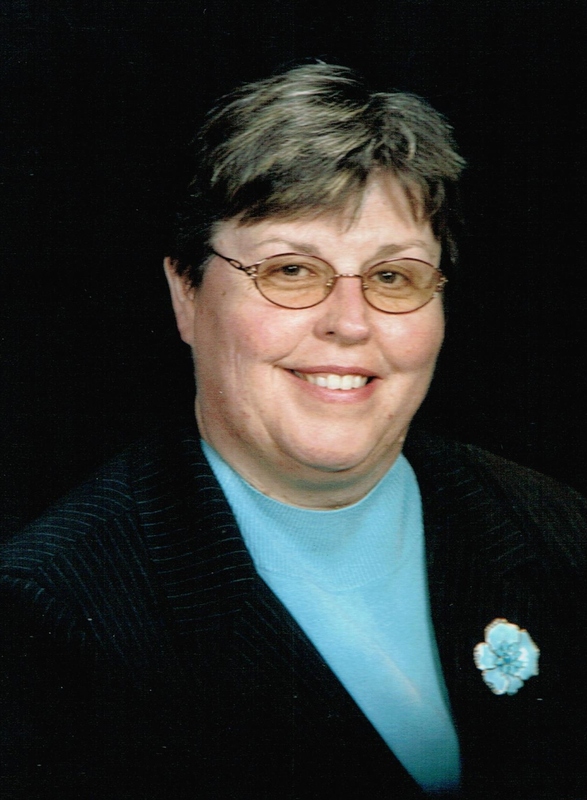 Susan Jo (Bingen) Vander Woude, age 65, of Sioux Falls, SD, died peacefully at Sanford Hospital on June 7, 2017 after a long battle with cancer. She was born on October 21, 1951 to Roy and Frances (Jensen) Bingen in Chamberlain, SD. Sue grew up on a farm southeast of Kennebec, SD. Her schooling began at Gibson Elementary, which was a one-room schoolhouse through the 8thgrade. She then attended Reliance High School for three years. She spent her senior year living with her grandmother and graduated from Presho High School. Sue met her husband Paul while attending National College of Business in Rapid City, SD. Their six-month whirlwind romance began when they met on September 7, got engaged on December 7, and married on March 7, 1970 in Chamberlain, SD. In 1972, they moved to Sioux Falls where they made their home and raised their three children. Sue worked as a teacher’s aide at Hawthorne Elementary school, a computer aide at St. Joseph Cathedral school, and a student loan collector at Citibank. Sue was an active volunteer in the community. She was a Girl Scout leader and Boy Scout leader for over a decade. She was even the Camp Director for multiple years at the Wall Lake Girl Scout Camp. On several occasions, her two-stall garage was filled with girl scout cookies that needed to be distributed to all the girls in the neighborhood. Sue was a member of the Minnehaha Sertoma Club for 20 years. She served in almost every possible leadership role including President and Governor. She was a co-founder of the Tips for Kids charity fundraiser. She was on the committee that planned the Celebrate Sound walks to raise money for the hearing aid loop at the Washington Pavilion. She enjoyed administering hearing screenings for 1st, 3rd, and 5thgraders at all schools in Minnehaha County. She was awarded the Regional Sertoman of the Year. Sue was raised Lutheran and converted to Catholicism after she married Paul. She continued working with the RCIA program and sponsored many people who also wanted to convert to Catholicism. She enjoyed participating in religious retreats such as Search, Marriage Encounter, and Koinonia. Sue took part in the Perpetual Adoration program and was a Eucharistic minister for the church. Sue’s friends were very important to her. She rarely turned down an opportunity to socialize. She was an active Red Hat Lady and formed a Hen Club. She had a great sense of humor, and loved to joke with everyone. She always noticed the wild flowers growing on the side of the road. Sue loved doing crafts and art projects with her grandchildren. Grateful for having shared her life are her children: Becky, Anthony, and Lori, all of Sioux Falls; and her three grandchildren: Clarissa, Kahlen, and Stella. She is also survived by her siblings: Gary (Sharon) Bingen of Lower Brule, Sandy (David) Nies of Presho, Roger (Judy) Bingen of Nebraska, and Linda Bingen of Elk Point. She was preceded in death by her husband, her unborn child, her parents, her sister Karen Opbroek Meeker, and her infant brothers Kevin and Keith. Visitation will be Monday the 12th, 5:00 PM at Barnett-Lewis Funeral Home with a Scripture Vigil at 7:00 PM followed by the Rosary. Mass of Christian Burial will be Tuesday, 10:00 AM at the Cathedral of St. Joseph with burial to follow at St. Michael Cemetery.